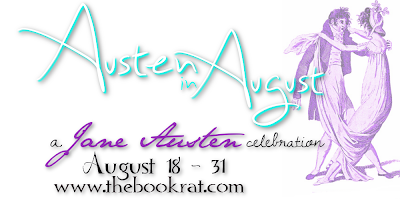 The Book Rat: On Austen. . .in August — guest post from Jenetta James! On Austen. . .in August — guest post from Jenetta James! 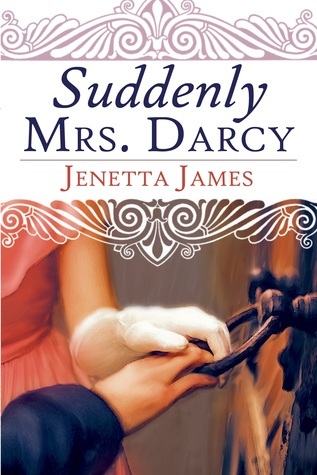 Tomorrow, I'll be telling you my thoughts on Suddenly Mrs. Darcy, a Pride & Prejudice what-if in which Elizabeth is forced to marry Darcy after a misunderstanding in which she appears to be "compromised" (and as weird as it is to say this: it's kinda one of my favorite what-if scenarios. I need to analyze that...). But TODAY, Jenetta is dropping in to talk to us about the idea of Austen in August. Check it out below, let us know your thoughts in the comments, and make sure to stop by tomorrow for my review! There is nothing like 800 miles to focus the mind on otherwise unconsidered trifles, and that is exactly what I have been doing. We have just completed that annual trip well known to many English travellers; trouping down to Portsmouth, hopping on the ferry and then snaking our way, car loaded, kids alternately sleeping and eating brioche, into France profond. The business of going on holiday has got me thinking what a very appropriate theme “Austen in August” is. And I am not just attracted by the alliteration. It goes much deeper than that. I realise now that without ever having properly thought it through, to me, Jane Austen is writer for the summer months- an author to take away from home. Maybe that owes something to having first discovered her works during long hot summer holidays when the new school term seemed a world away. Maybe also, it is associated with the novels themselves. For, in the whole Austen cannon, some of my favourite scenes and sequences are summer ones. Emma’s expedition to Box Hill for example, positively sweats with high summer heat. In Pride & Prejudice, it is Mr and Mrs Gardiner’s summer holiday which takes Elizabeth Bennet to Derbyshire and hence to Pemberley and ultimately to Mr Darcy. More than that, the places of Jane Austen are strongly redolent of holiday – of decamping – of seeking the freshness of a new sky. Think of the role of Lyme Regis and Bath in Persuasion and Brighton and Ramsgate in Pride & Prejudice. Austen uses the act of visiting new places, frequently in the summer, as a foil for action and development. It is no wonder, therefore, that she flicks the holiday switch in my mind. Thank you “Austen in August” for making me realise. Now, where is my sunhat…? Jane for summer, hmmm. Yes, her stories are so light and lifting even with the barriers that the heroines have to face. That Box Hill trip made me perspire just reading it. I felt sorry for them in their formal clothes. I always think that - especially the men in frock coats etc - they must have been boiling! Jane's stories are great to read in summer or any time.